Edward T. Pollack Fine Arts Portland, Maine 617-610-7173 ed@edpollackfinearts.com www.edpollackfinearts.com Lewis, Martin. NIGHT IN NEW YORK. McCarron 102. 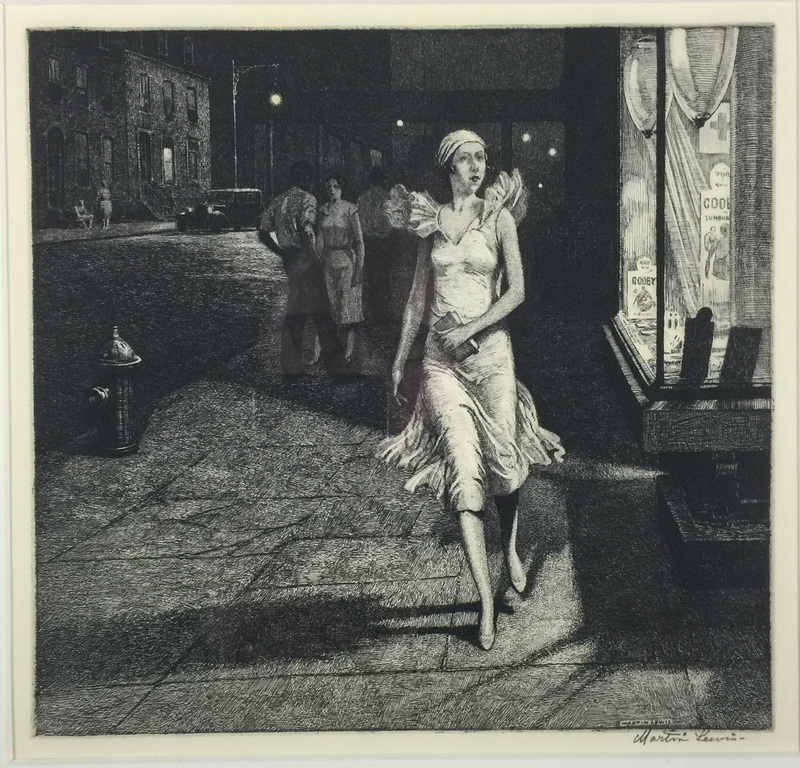 Etching, 1932. Edition of 125 published by the Chicago Society of Etchers. Signed in pencil. 8 3/8 x 8 3/4 inches (image), 13 1/2 x 12 inches.